Amid impassioned pleas for progress, negotiators at the UN climate talks in Poland are facing the final day with many issues undecided. Former Maldives president Mohamed Nasheed said there would be "hell to pay" if countries failed to take significant steps. Countries are struggling to complete the complex "rulebook" of the Paris climate agreement. But they are also under pressure to boost their promises to cut carbon. One of the biggest challenges facing the talks is the sheer number of decisions that have been passed up to around 100 ministers from all over the world who have travelled here to Katowice. They are also feeling the heat from developing countries and small island states who fear that they will face ruin if temperatures rise by more than 1.5C. Right now, the world has warmed about 1C since the industrial revolution. Former president of the Maldives and now their lead negotiator, Mohamed Nasheed, made an impassioned plea for urgent progress on cutting carbon. "It's just madness for us to allow global CO2 levels (in the atmosphere) to go beyond 450 parts per million, and temperatures to shoot past 1.5 degrees," he told a press briefing. "That can still be prevented. If we come together on the basis of the emergency facing us, we can do it. "Every country at this summit will have hell to pay if we don't." "Some of the text that are key to the rulebook, in terms of the transparency of countries reporting their mitigating actions are pretty strong, they are better than they were a week ago," said one senior negotiator. "The rulebook right now hangs in the balance, because you need all countries on board and you need to support developing countries," said Jennifer Morgan from Greenpeace. "Flexibility can mean a lot of things and I think some countries are using that word to delay having to implement rules and others are worried because they don't have the capacity to do it, when you don't have a clear signal from developed countries that they are going to provide that support it just brings a lot of uncertainty." There's a strong push to recognise the science of the IPCC, which earlier this year produced a critical report on how the world would be impacted by temperatures rising by 1.5C this century. When consensus couldn't be found the text about the IPCC was dropped much to the surprise of a majority of countries. There is a determination here to ensure that at the end of this meeting a "COP decision" will recognise the IPCC. "There are 196 countries in the UN and 192 counties agree," said Mohamed Nasheed. "We are just talking about four that do not agree, and these four are taking us hostage." Right now the plans that countries lodged as part of the Paris agreement don't get anywhere near that, described as "grossly insufficient" by one delegate from a climate vulnerable country. "Companies are ready to invest and banks are ready to finance," said Carlos Salle from Spanish energy conglomerate, Iberdrola. "So we need that greater ambition in the policy to enable business to move further and faster." Who's really in charge of these negotiations? 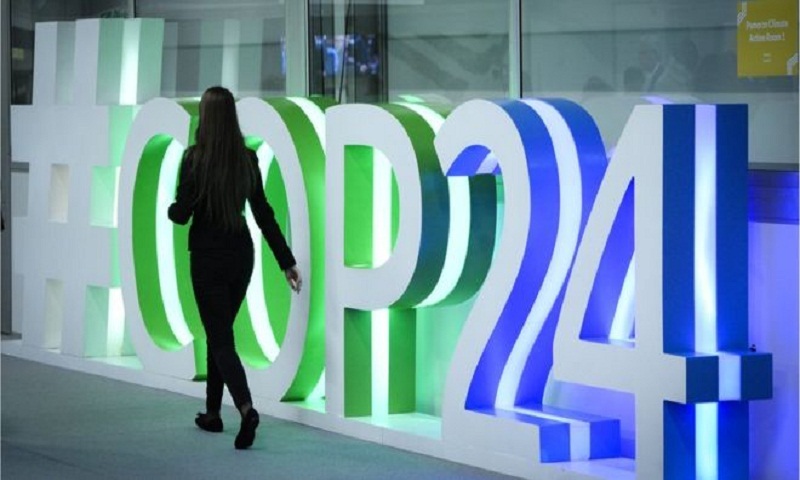 Most people want to see a strong rulebook, a commitment by countries to raise their ambitions and carbon cutting promises before 2020 and some clarity on how much money will be delivered to poorer countries - as well as when it will arrive. "I think the presidency is too honed in with the what the high emitting countries are looking for right now and that could lead to a weak outcome here," said Jennifer Morgan from Greenpeace. "Often in these talks when it's quite complex, and you don't have clear leadership, that's when countries like Saudi Arabia can come in and just wreak havoc. That's why we need the ministers from EU to come and work with poor nations to drive that home to counterbalance what the Saudis and the Poles are doing here." For the more than 20,000 people attending these talks, the end can't come quick enough. Most have been here for around two weeks. Officially, it is all due to finish on Friday evening. But the expectation is that it will be Saturday at the earliest.